Pineapples are the hot trend at the moment! 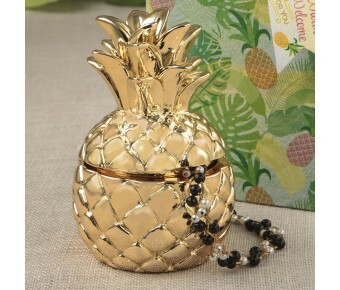 Don't be left behind - offer this exquisite pineapple box favor to friends and family at your next special event. 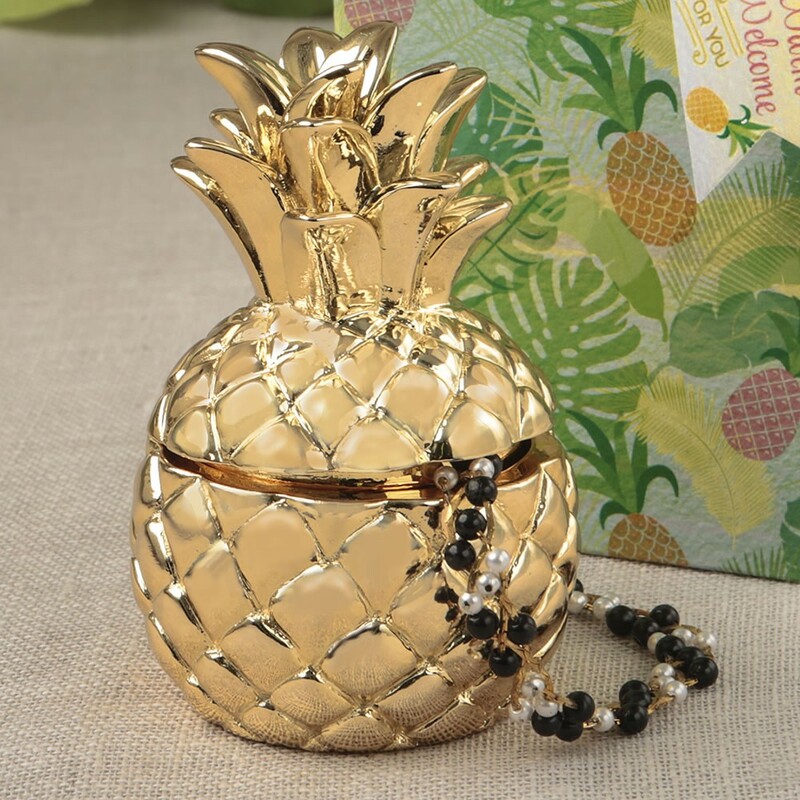 This beautiful pineapple box is crafted from solid poly resin in a 3-dimensional design. It consists of two pieces, a top and a bottom, both finished in a shiny gold metallic plating.